HATE preacher Abu Qatada must be the only man in Britain who isn’t feeling the pinch. While our schools, police, and brave armed forces face swingeing cuts, spending on the terror suspect just seems to go up and up. It’s bad enough that he is using human rights laws to stay in a country he despises. But hard-working families struggling to make ends meet will be sickened to learn that last month this unwanted guest was costing them £5,058 A DAY. The bill for legal aid, security, housing and benefits is expected to top £6 million this year alone. That’s enough to pay for an extra 283 nurses, 347 rookie soldiers or 263 teachers. 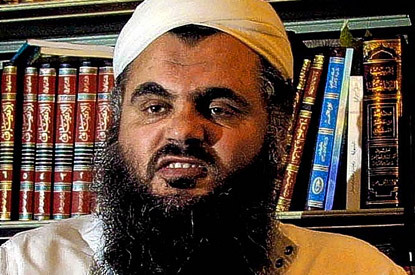 Qatada (pictured above), a Bin Laden stooge and inspiration for the 9/11 hijackers, is using every trick in the legal handbook to dodge deportation. To make matters worse, soft-touch European judges seem determined to let him. Home Secretary Theresa May must be tearing her hair out in despair at how to get rid of him. Even that is costing us, as government lawyers run up a £600,000 bill in their hopeless quest to find common sense in the barmy human rights laws that allow him to stay. He’s been playing Qat and mouse with the the authorities for 12 years. Let’s hope 2013 is the year we finally get rid of him. Then we can end this costly madness once and for all. 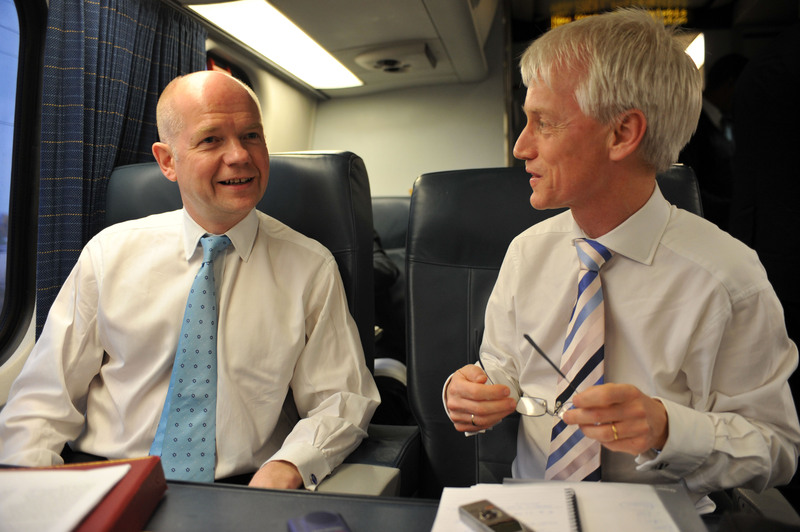 WILLIAM Hague has ruled out letting the public decide whether Britain stays in the EU – even if MPs vote for it. His remarks will infuriate the Tory right-wing who are already threatening to use the issue to hijack this week’s party conference in Manchester. MPs have been forced to stage a Commons debate on Britain’s future in Europe after Independent MEP Nikki Sinclaire handed in a petition demanding a referendum at 10 Downing Street. More than 80 backbench Tories want voters to have the final say and many Labour MPs could back the move because it would be hugely popular with the public, who now pay an average of £299 a year each to run the EU. It would be the first time Parliament has held a major debate on a giving the public a say since the 1975 referendum confirmed the decision to join the Common Market – and could be held before Christmas. But if MPs vote in favour of a referendum, it would not be binding on the government. And asked if he would grant one, Mr Hague said bluntly: “No”. He admits the EU is “cumbersome, slow and bureacratic” but stresses the upside is the power of 27 nations uniting on vital issues such as imposing sanctions against Syria. The former Tory leader’s comments are more remarkable because he fought and lost the 2001 general election on a tough anti-EU stance. He still believes Brussels has too much power but since entering government has seen the bloc of nations acting as a power for good in the world. Mr Hague’s referendum snub will anger his party’s Right-wing gathering in Manchester today – but cheer pro-EU Lib Dem coalition partners. But Home Secretary Theresa May has delighted the Right by calling for the Human Rights Act to be scrapped. Her words fly in the face of Deputy PM Nick Clegg’s speech the the Lib Dems two weeks ago when he said the controversial Act was “here to stay”. 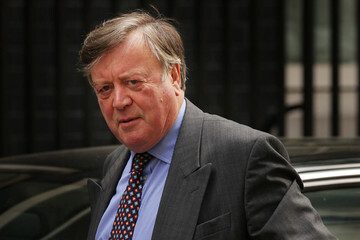 Europe and human rights will be among the hottest issues for David Cameron in his second conference as Prime Minister. The economy, law and order and welfare reform will also be high on the agenda. Mr Cameron will also be keen to reach out to woman after polls show he has problems appealing to female voters. When asked to score on his understanding of women’s issues, respondents gave him just one out of 10. In an interview with The Sunday Times today, Mr Cameron admits he made a “terrible mistake” with his “calm down, dear” remark at Labour MP Angela Eagle in the Commons earlier this year.